Bernie Williams Did Things His Way, Quietly. Bernie Williams stood there and faced the media with those three words quietly displayed on his t-shirt. It was October of 1996, and Williams wore this motivational garb in front of his locker throughout the post season. This subtle reminder personified the Yankees of the mid-90s. Williams will have his #51 retired tonight. Those Yankees teams never gloated, always acted as if they had “been there before,” and proceeded to win four World Series titles in five years. 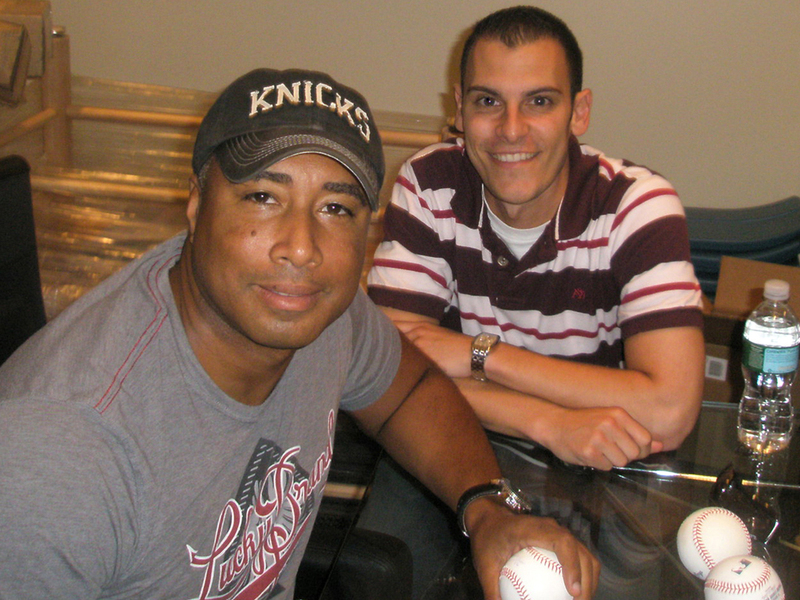 When I spoke with Bernie Williams, a few years back, he reflected on his time in pinstripes. All these years later, he still maintained a humble opinion of his years in the Bronx. Williams, who officially retired earlier this year, will have his #51 follow suit tonight at Yankee Stadium. The switch-hitting legend will take his rightful place among Yankee immortals during a pre-game ceremony – A fitting tribute for a humble man who enjoyed a special career. Williams played on some of the most successful Yankees teams of all-time, and the center fielder had a major role in most of those triumphs. 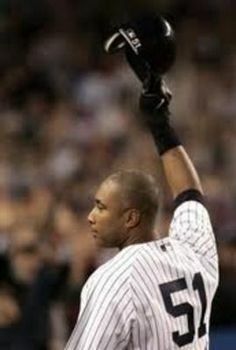 Over the course of his 16-year career – all with the Yankees – Bernie Williams was selected to 5 All-Star Games, won the 1996 ALCS MVP Award, won 4 Gold Gloves for his wizardry in center field, and captured the 1998 Batting Title. Despite all his personal accolades along the way, Williams insisted his greatest memories are team oriented. It is that unassuming personality that has landed Bernie a special place in the hearts of most Yankees fans. 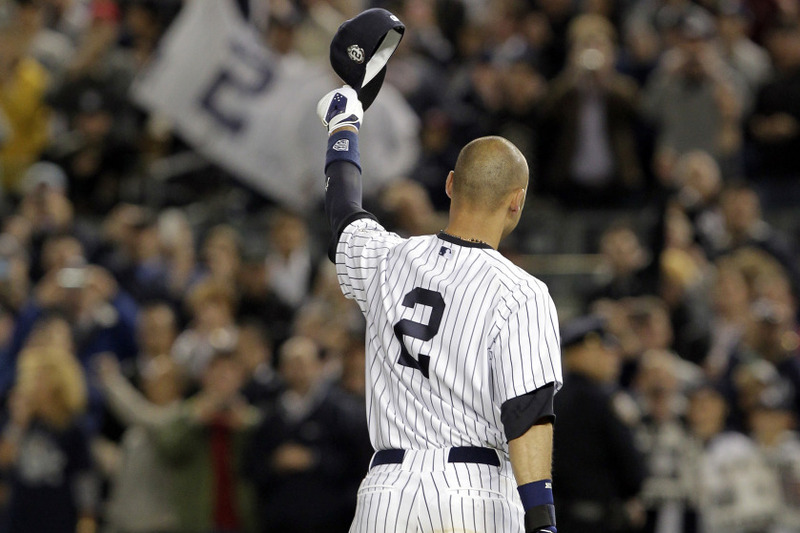 Adulation that was never more evident to Williams than at the final game ever played at the original Yankee Stadium. Williams was invited back the following April to help open the new home of the Yankees. 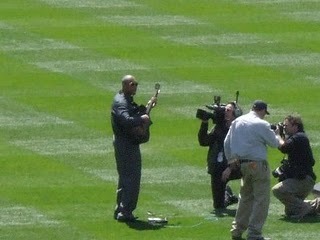 He appeared in center field, playing “Take me out to the ball game” on his guitar, and highlighted an extraordinary day at the new ballpark. Inside that old Stadium, Bernie Williams cemented his place in Yankees lore, quietly positioning himself in the record books alongside other Yankees center fielders like Mickey Mantle and Joe DiMaggio. 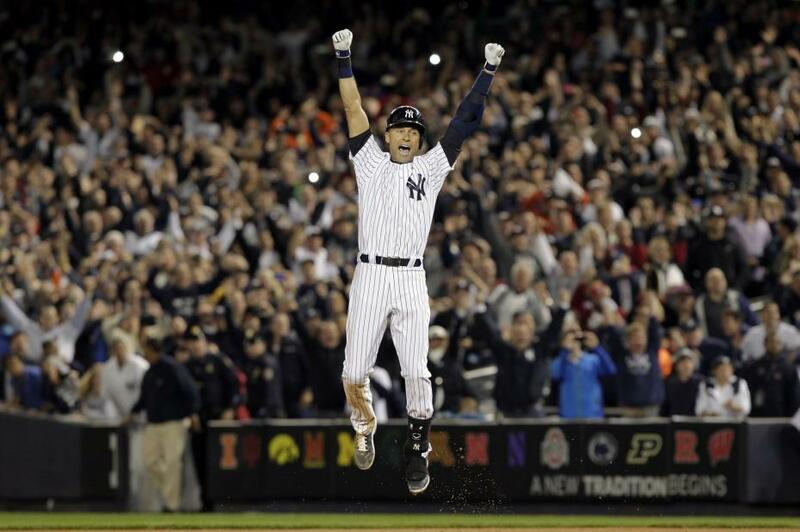 Tonight, he’ll join them in Monument Park as well. He shut up and just played. *Updated from original 2009 Piece. Bernie Williams Did it His Way, Quietly. Bernie Williams stood there and faced the media with those 3 words quietly displayed on his t-shirt. It was October of 1996, and Williams wore this shirt in front of his locker throughout the post season. This subtle reminder personified the Yankees of the mid-90s. Those Yankees teams never gloated, always acted as if they had “been there before,” and proceeded to win four World Series titles in five years. To this day, looking back on it, Williams still maintains a humble opinion of his years in pinstripes. Williams, looking like he could still slip into his pinstripes, visited the Steiner Sports Corporate headquarters on Thursday and for #51, the autograph session quickly turned into an opportunity for reflection. Williams played on some of the most successful Yankees teams of all time, and the switch-hitting center fielder had a major role in most of those triumphs. Over the course of his 16-year career – all with the Yankees – Bernie Williams was selected to 5 All-Star Games, won the 1996 ALCS MVP Award, won 4 Gold Gloves for his wizardry in center field, and captured the 1998 Batting Title. Despite all his personal accolades along the way, Williams insists his greatest memories are team oriented. Williams was invited back the following April to help initiate the new home of the Yankees. He appeared in center field, playing “Take me out to the ball game” on his guitar, and highlighted an extraordinary day at the new ball park. Inside that old Stadium, Bernie Williams cemented his place in Yankees lore, quietly positioning himself in the record books alongside other Yankees center fielders like Mickey Mantle and Joe DiMaggio.